While myeongdong is famous for its hyper shopping experience, Insadong is a "must visit" in Seoul to experience the artistic and cultural side of Seoul. After shopping for cosmetics and fashions in Myeongdong, how about getting to Insadong to see the ordinary Korean artwork, handicraft and antiques and drop by the restaurants in the alleys of Insadong for traditional teas and wines. From Myeongdong, you can get to Insadong by taking Seoul Metropolitan Subway Train to either using LINE 3 to Anguk Station (EXIT 6) OR LINE 5 to Jonggak Station (EXIT 11). If you are staying at hotel near Myeongdong Subway Station, getting to Insadong is super easy. Just board the subway train at Myeongdong Station (LINE 4) heading towards Chungmuro Station. At Chungmuro Station, transfer to LINE 3 to take the subway train heading towards Anguk Station. On the way, the train will pass through Euljiro 3(sam)-ga Station and Jongno 3(sam)-ga Station as shown on the subway map below. The subway ticket price is only KRW1350 (or KRW1250 using T-money card). 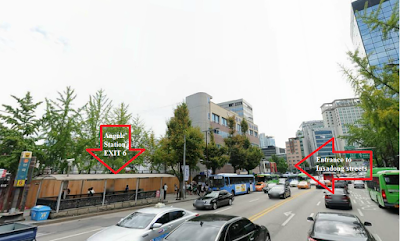 For those who stay at northern end of Myeongdong, closer to Euljiro 3(sam)-ga Station, you can also board the subway train here to go to Insadong. Upon arriving at Anguk Station from Myeongdong, you should exit the station using EXIT 6. 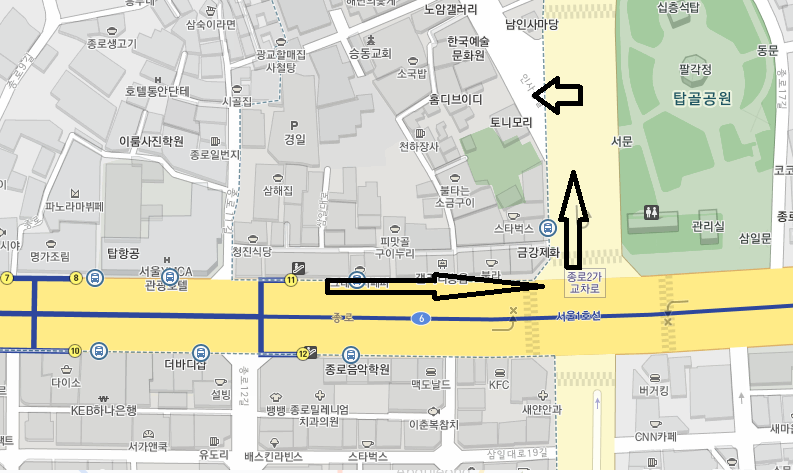 At EXIT 6, go straight and walk ahead for a short distance and you will arrive at the junction entering into Insadong. The junction is easy to identify and you will not miss it because there area large sculpture that set the artistic tone of Insadong. Entrance to Insadong streets. You can see large sculpture at the junction. Another subway station near Insadong is Jonggak Station. This subway station is less well-known among tourist who want to go to Insadong but it is equally convenient for those who want to get to Insadong from Myeongdong Station or Seoul Station. The cost of subway ticket from Myeongdong to Insadong through Jonggak Station is only 1350won (or 1250won using T-money Card). This is exactly the same if you go from Myeongdong to Insadong through Anguk Station. From Myeongdong Station, take a train heading towards Seoul Station (going through Hoehyeon Station). Upon arriving at Seoul Station, get off the train and change to LINE 1 of Seoul Metropolitan Subway. Take the LINE 1 subway train heading towards Jonggak Station (passing through City Hall Station). Get off the train at Jonggak Station. The subway journey is shown below. 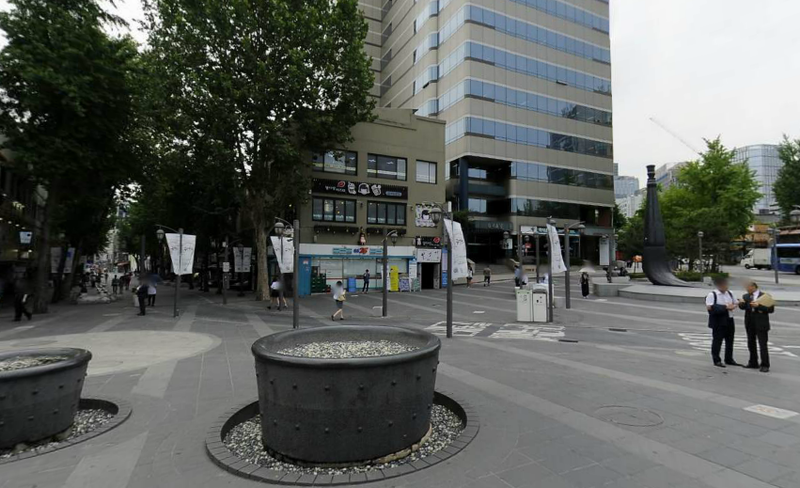 Upon arriving at Jonggak Station from Myeongdong, exit the station by using EXIT 11 to get to Insadong main street. Walk straight ahead before turning left at the big junction as shown in the walking map to Insadong main street below. After making the turn, walk briefly before turn slightly left into Insadong main street, which looks like the picture below. 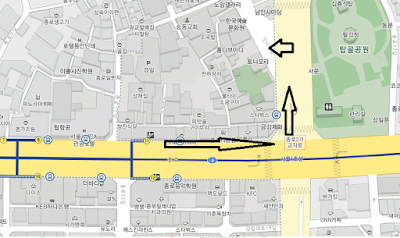 Walking Direction from EXIT 11 Jonggak Station to Insadong Main Street. 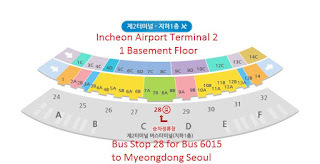 Essentially, if you use this route to get to Insadong from Myeongdong, you will arrive at the other end of the Insadong main street compare to tourists arriving through Anguk Station. After walking through the main street of Insadong, you can return to Myeongdong from Insadong using the Anguk Station at the other end of Insadong main street. Just a tips on touring Insadong, there are a lot to see and experience in the sub streets or alleys of Insadong besides the main street. Don't be afraid to explore the alleys too for more artwork and yummy food. If you want to bring back some souveniors from Insadong, a good place is Ssamziegil shopping mall along Insadong main street. In short, taking the subway train is the easiest and most convenient way to get to Insadong from Myeongdong. 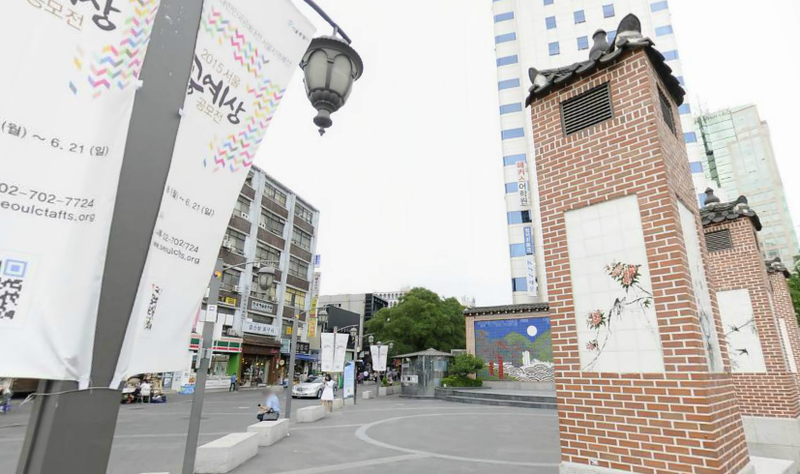 You can choose between two routes, either getting to Insadong from Anguk Station or Jonggak Station which are located at opposite ends of the Insadong main street. If you arrive at Insadong at one station, you may use another station to return to Myeongdong after touring the artistic Insadong. Your posts are super helpful especially to those who will be staying at Myeongdong. I will be visiting Seoul and be staying at Myeongdong this October and I find your post very helpful. Thanks. Thank you BangbangJB. Wish you a fun and joyful trip to Seoul and especially Myeong-dong. Hi, thank you so much. Your post and information provided is most useful to me when I go to Seoul next month. Have a good day. Hi, thank you for an informative blog. 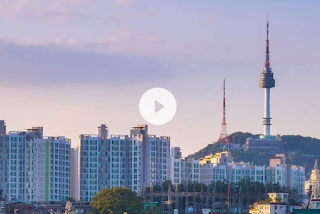 We're going to Seoul in October and we pretty much want to explore the city by foot. We'll be staying in Jongno District and would love to visit Insadong and Myeongdong. Would you know if they're just about 30 minutes walk? Yes, you can walk from Myeongdong to Insadong in about 30 minutes if you know the direction. Of course, you could also walk slowly to explore the streets along the way. Can we ride a taxi myeongdong to insadong? Yes, of course. Insadong is quite near to Myeongdong so the taxi fare will not be too costly too.